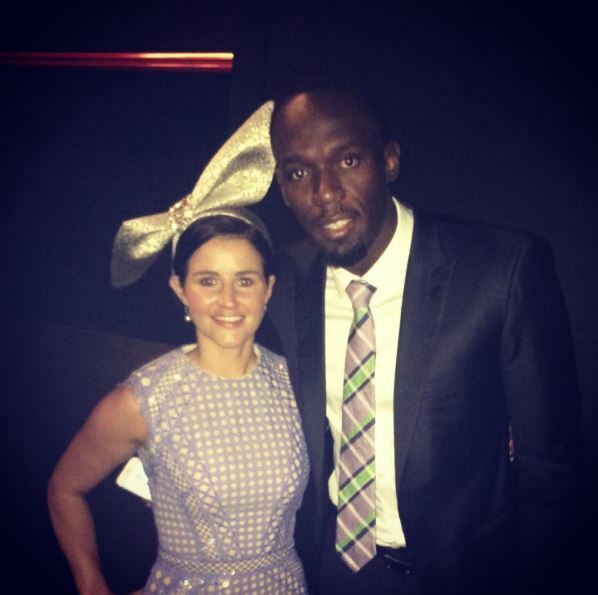 Usain Bolt made a surprise appearance at the annual Oaks Club Luncheon at Crown on Wednesday. Having stated “my goal is to be remembered as one of the greatest athletes in any sport,” the nine-time Olympic Gold Medalist endeared himself to the 1,200 strong audience by performing his signature lightening bolt salute. Michelle said she felt incredibly lucky to meet the track legend.